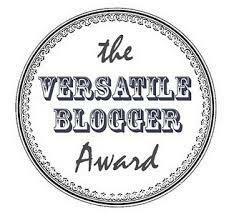 I would like to thank Shruti Srinivasan, http://anushrusrini.wordpress.com/author/anushrusrini/, for nominating my blog, The Baggage Handler, for The Versatile Blogger award. To be recognized by such an awesome site is truly an honor. I gratefully accept the nomination. It feels as though my journey hasn’t even begun, yet all of your positive feedback and the outlook you’ve given me in your posts have given me a stronger voice as I talk about the corruption that happens in our airports. Thank you so much for that. 1. The first time I kissed a girl. I was 11, and I had my eyes closed. The second time, I peeked. The third time the most beautiful eyes stared back at me. I will never forget her or that moment. 2. I love to dance! When I was little, my uncle used to give me five dollars to dance in front of the family. I did it, but I was shy. When I got older, I became a salsa instructor just for fun. 4. When I was 5, my brother, Albert, showed me how to tie my sneakers. It took me an hour to learn, and then I was off to the races. 5. My sweet and sour moments were watching my children smile without their front teeth. They grow up so fast. I was their tooth fairy, and I still have all of their teeth. 6. When my children were young, I was working 16 hours a day, so I hardly got to see them. After I fell asleep, they would sometimes all crawl into bed and cuddle in with me, like a giant puppy pile. I’d wake up and just listen to them breathing. They did that because they missed me. Now, I miss them!